The iCrim: Playful Pathway is a play along the way structure that offers kids and families easy access to play. 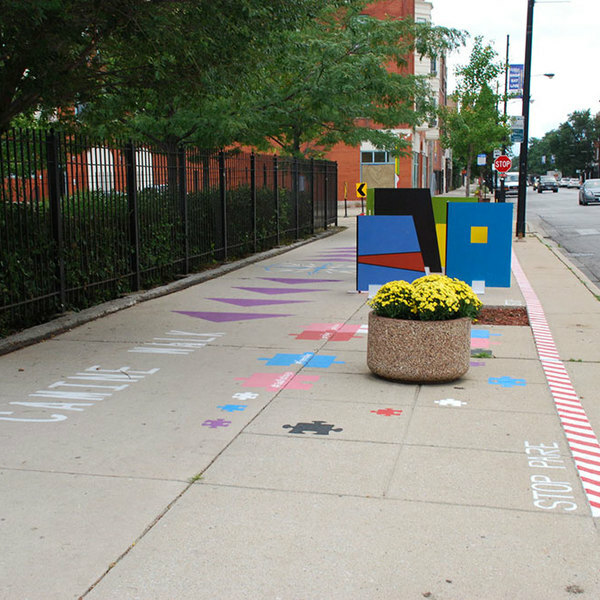 Currently a temporary version created with chalk, the iCrim: Playful Pathway is located within a community garden that is on school property. 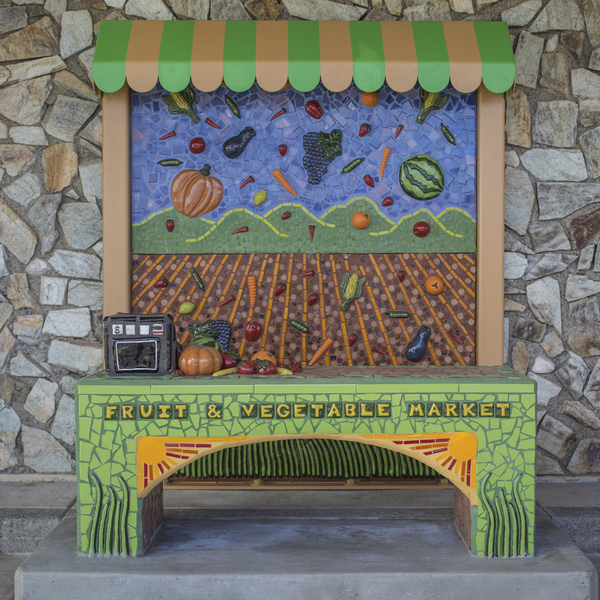 The project transforms an underutilized space into one that is inviting for families to play. Fruit and veggie hopscotch and simple movement commands, such as twirl, jump and dance, are examples of the activities that are easy to engage with as kids and adults come in and out of school. 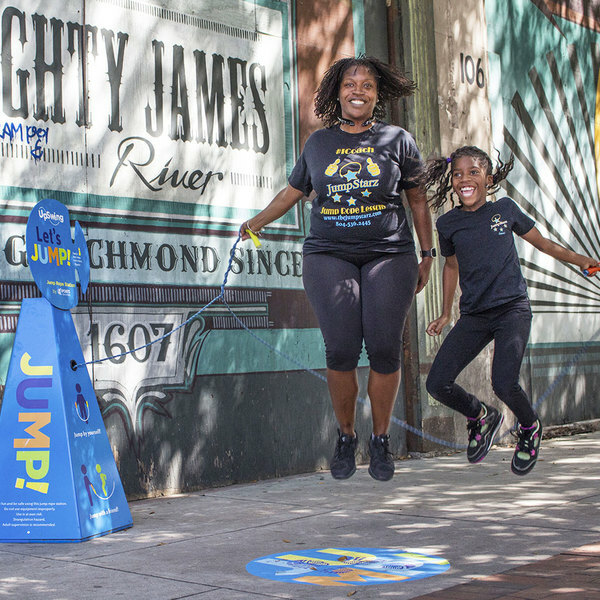 The iCrim: Playful Pathway is a collaboration between the Crim Fitness Foundation, Flint Community Schools and the Community Education Initiative. Students who live in the surrounding neighborhood are helping to brainstorm future ideas for the project. By giving the community a chance to be involved with the design process, they feel invested in this playful addition to the downtown area. Repurposed cigarette stands offer play opportunities near barber shops and salons for low-income neighborhoods in Richmond, Virginia.